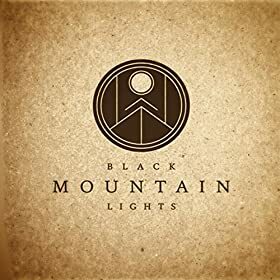 Consisting of only three tracks, Black Mountain Lights’ debut EP “Submarine” shows great promise and offers ample intrigue. The standout track is definitely Two Steps. This song has a crazy good beat accompanied by just the right amount of banjo. Immediately, I thought of Bottom of the River by Delta Rae. Despite the fact that this band is from England, the intro sounds like something straight out of the Louisiana bayou. If nothing else give this song a listen. The other two songs, Submarine and Tumbling Sky, are both good songs, but they are pretty standard folk songs emulating much of what has been put out over the last few years. But seriously, listen to Two Steps. “Dear Michael, You’re Welcome” by Mike B.
Hello again and sorry for my absence; the first few weeks of this semester have been crazy. Anyways, as many of you know I am not a huge fan of rap in general. Mike B. however has dropped an awesome album that is worth a listen and you best check it out if you’re a fan of music. 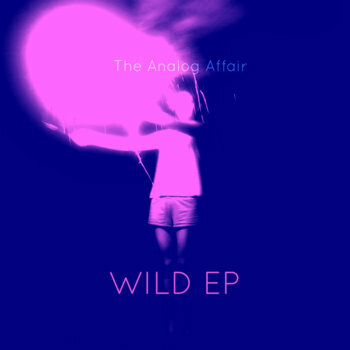 Wild EP by The Analog Affair (9/10): I first became exposed to The Analog Affair when band member Evan contacted me about doing an interview with him for his side project Light the Air (the interview can be found here: https://musicalmagnificence.wordpress.com/2012/11/02/light-the-air-interview/). After exposing myself to Evan’s style, he suggested that I check out his band called The Analog Affair. The Analog Affair is a combined effort of Evan and Cody (I also did a review of their previous album here: https://musicalmagnificence.wordpress.com/2012/12/26/review-good-vibes-ep-by-the-analog-affair/). The last album, Good Vibes EP, of theirs that I reviewed was a folksy one. Listening to Wild EP is like listening to an entirely new band; Wild EP is infused with electropop, indie pop, and indietronica mostly. Now I typically cringe when a band tries to exit its genre because often it becomes apparent that the band is a one trick pony. The Analog Affair, however, pulls off the genre switch with ease. Every track on the album makes you want to move; be it dancing, working out, or even just writing an album review. So check it out, Evan and Cody have major talent that will assure they make it far in the business. Formed in 2010 in Louisville, Beady is a promising new folk band incorporating an energetic and often uplifting musical style. In 2012, they released their first label-backed album, Youngest Days. Drawing heavily on the folk and alt-country scene, Beady is part of the new-found popular appreciation for folk and country music at times resembling a toned-down version Trampled by Turtles and other times like a raucous incarnation of Bright Eyes. Beginning with the heartwarming and calming track, “Train Man”, the album never gives up the upbeat tone even when the lyrics tell a very different story. “April Showers” reminds me of the Bright Eyes song, “First Day of My Life,” in the way that it is a touching love song using metaphor to proclaim affection (though it is admittedly much faster paced). My favorite song on the album is “Hickory Desk.” The simple beauty of the song is captivating and you just want to hold a loved one under your arm. I could definitely see this song becoming popular if only more people could hear it. Overall, the album is a commendable and polished effort from a (currently) undiscovered band. You’ll be tapping your fingers along with this one and having a good time. I would definitely say that this is a good purchase for any folk fan. Everyone Everywhere by Everyone Everywhere (8/10): These Philadelphia rockers really know how to put together an album. They’ve got a sort of angsty sound on the album without seeming whiny. The whole album has a high energy feel that makes you want to rock out but lyrics that make you want to sit on your bed and think about your life. My favorite track is definitely Fervor and Indifference in the Bicameral Brain because of the awesome variety within the song (I hear a bit of banjo in there). There are some points on the album where you get a bit tired of the sound, but for the most part, it’s an enjoyable listen and definitely worth the price ($1). Good Vibes EP by The Analog Affair (8.5/10): This project based out of Washington D.C. is an absurdly underrated indie collaboration between two men, Evan (who I interviewed for his solo project) and Cody. Listening to their songs, you can tell these guys have a deep passion for music. Sir, I Am A Good Man by Lonely Tourist (9/10): This band is based in Scotland, and their accents are the perfect accompaniment to the style of music they play… Honestly, I don’t know what genre to put them in, they cross genres (sometimes folk, sometimes sounds like it has a Caribbean feel). I try to give some of the album’s highlights on these reviews, but every song is awesome in its own respect. Here is what I consider my favorite: Too Old for Clubbing. You can just hear the enjoyment these guys feel when playing; their excitement radiates. Give it a listen and sip on some rum and you’ll have yourself a great time. Cheers!